Visitors who prefer to stay pampered can relax at our justifiably famous Hill Country resorts, spas and golf retreats. Spend some quality time at these tucked-away gems and lakeside retreats and find adventure, fresh-air, fine dining and relaxation. This 7,000-acre, AAA Four Diamond-rated property is all about wide-open family fun. Get your fill of family scavenger hunts, waterfront concerts, dive-in movies, relaxing treatments at the Bayside Spa, complimentary s&apos;mores and a full-service marina with pontoons, stand up paddleboards, kayaks and WaveRunners.Exhale on the shores of Lake LBJ surrounded by blue water and sky, book a dining yacht excursion, play on the 18-hole Bermuda grass putting course or hit the links on one of America’s Best Golf Resorts (Golf Magazine). 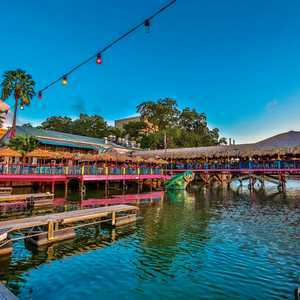 This resort has it all: nine restaurants and lounges, a family friendly water park for the kids and a full-service spa for the folks, horseback riding, an arcade, championship golf and much more. Located adjacent to McKinney Roughs Nature Park, the resort offers river kayaking excursions, sunset raft trips, birding, fly fishing and hiking. Learn archery or go stargazing. Catch live music and spend time around the evening campfire. You’ll see why Hyatt Regency Lost Pines made Travel + Leisure’s 2014 World’s Best Awards “Top Family Hotels” list. Got kiddos? Camp Hyatt provides hours of fun, with learning activities like scavenger hunts, biking, rock art, storytelling and catching fire flies. Likened to a best friend’s lake house, this Texas Hill Country resort rests along the shores of Lake Austin and has received impressive nods of approval from Travel + Leisure, Condé Nast Traveler, InStyle, Luxury SpaFinder, Spa Magazine, The Zagat Survey and more. Wrap yourself in a plush robe, head to the world-class LakeHouse Spa for a warmed River Rock Massage, join a class on the lakeside yoga dock, kayak on glassy waters, and linger over a five-course dinner. This stunning setting is where stress comes to die. Amazing amenities take the cake at Lakeway, along the banks of the Colorado River. Dip in and out of three sparkling swimming pools, enjoy the fitness center, espresso and wine bar, waterfront restaurant, a Kid Zone and easy access to championship golf courses and tennis courts. 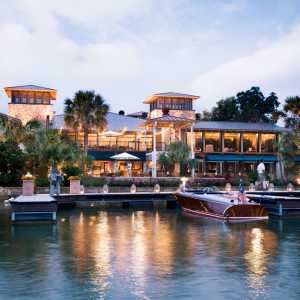 Lake life unfolds in the form of water sports at the marina, breathtaking views of Lake Travis and a tranquil lakeside spa where you can soak up nature on a private outdoor terrace, enjoy a couples massage room with steam shower, or delight in a three-hour personalized Royal Treatment. 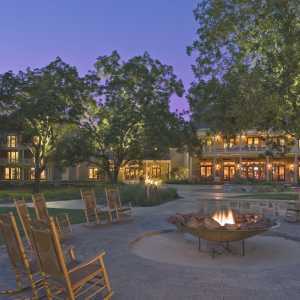 Formerly Travaasa Austin, the new Miraval resort is located in northwest Austin and has undergone extensive renovations which added 50 guest rooms, a second infinity pool, yoga pavilions, a new cafe and smoothie bar and more. Choose from signature adventures such as luxurious spa services, outdoor activities, equine and culinary experiences and more. Healing spa treatments call on the revitalizing power of plants and essential oils, and 24 treatment rooms, a hot tub, dry sauna and saline infinity pools mean you can make an entire day of it. At the end of each fabulous day, dine on locally sourced organic cuisine overlooking Lake Travis. Sink into spacious and luxurious accommodations with lavish beds and charming Southern décor. Golfers, novice to pro, will love the four spectacular onsite championship golf courses and kids have their own resort pool complete with waitstaff to bring kid-friendly snacks. Omni Barton Creek is currently undergoing renovations, which are expected to be complete in 2019. Visitors can expect to enjoy a guest rooms in the new resort tower with sweeping views of the Hill Country, an expanded pool-scape, a new tennis complex, a new golf clubhouse and additional golf course renovations. Additional highlights include the brand new Mokara spa and seven restaurants, including a coffee shop, pool grill, seafood restaurant and a Bob&apos;s Steak & Chop House.